Shane Doan, Team Canada, hockey player and Phoenix Coyotes captain and his brother Brook are the hunted on the premiere episode of Mantracker, Season 6. Russ Floyd acts as Mantracker's right hand man and Chilcotin Mountain guide. 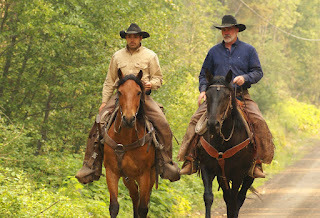 Russ and Mantracker, Terry Grant, rode our mountain horses in the pursuit of Shane and Brook- the hunted in the premiere show, April 17th 2011. How did Russ get a chance to ride with Mantracker on the international reality TV show? When Russ was 18 he took the Wilderness Horse Pack Guide Training Program with Chilcotin Holidays. He learnt all the skills to be guide, then he taught the guide training programs at Chilcotin Holidays. Russ guides year round doing Mountain Horse Pack Trips, Grizzly Viewing Trips, Horse Logging and Horse Shoeing. The Horse Back Guide Training first program is full - the second program runs May 16th - 28th - we say that if you want to work as a Horse Back Guide, take the the first schools of the year and you're ready to work for this season. We do schools until mid-September so if earlier ones don't fit your schedule, you will be ready next season. Russ guides guests in the same mountains the two episodes of Mantracker were filmed. 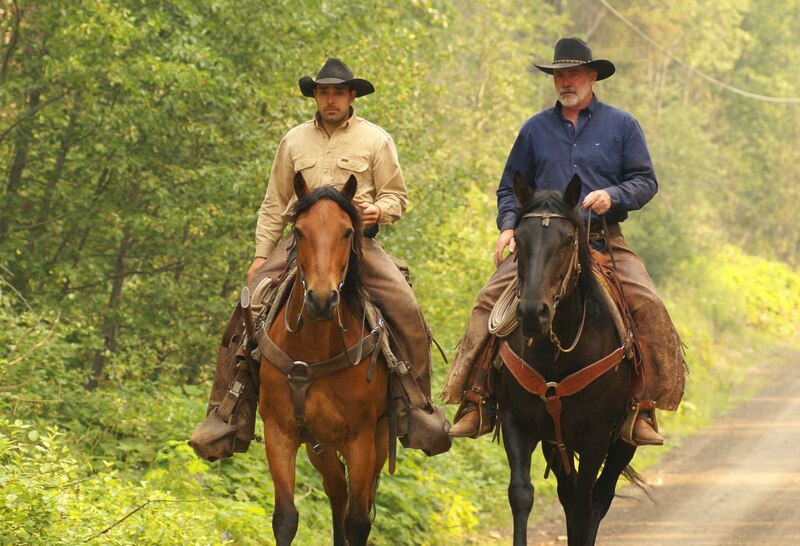 Guests can request to ride the same horse and ride the same trails that Mantracker rode when he hunted Shane Doan and his brother in the premiere episode.